Spring is a time of renewal, rebirth, and new energy. April 2013 has seen AxxonSoft's international profile blossom as well. 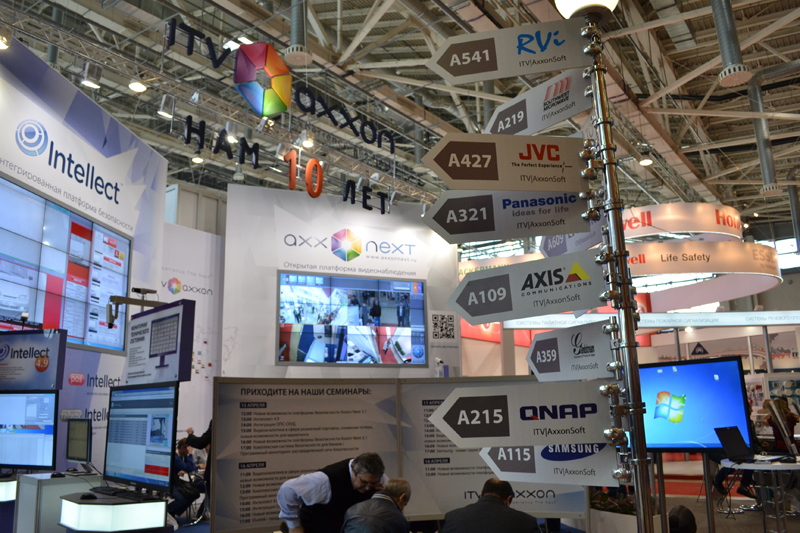 The company took part in the largest industry fairs held this spring worldwide, hitting the road to share the new version 3.1 of its innovative AxxonNext video management software (VMS) and celebrating its 10th birthday with its friends and partners. The first stop on the April tour was in Singapore, where AxxonSoft arrived on 2 April for Global Security Asia 2013, which is one of the most prestigious security events in the Far East and has been held since 2005. The exhibition ended on April 4, after which the AxxonSoft team conquered its next target: ISC West, in Las Vegas, Nevada (USA). The large security industry event brought leading innovators and major customers from all over the world together for three days (9 to 11 April). But our crew did not end their travels there, instead high-tailing it to the Russian capital for the 20th MIPS: Moscow International Protection, Security and Fire Safety Exhibition. Held from 15 to 18 April, the event boasts the most diverse crowd draw in Russia and the former Soviet countries. This was followed from 16 to 18 April in Sao Paolo by ICS Brasil Intersecurity 2013, an international exhibition on security systems for industrial and civil sites, and TIBO-2013, the 20th international industry forum on telecommunications, IT, and banking technologies, held in Minsk, Belarus 23 to 26 April. The capstone to the flurry of April activity was participation at Secutech 2013, a massive international event dedicated to electronic, IT, fire, and public security and safety technologies in Taipei, Taiwan (24 to 26 April). 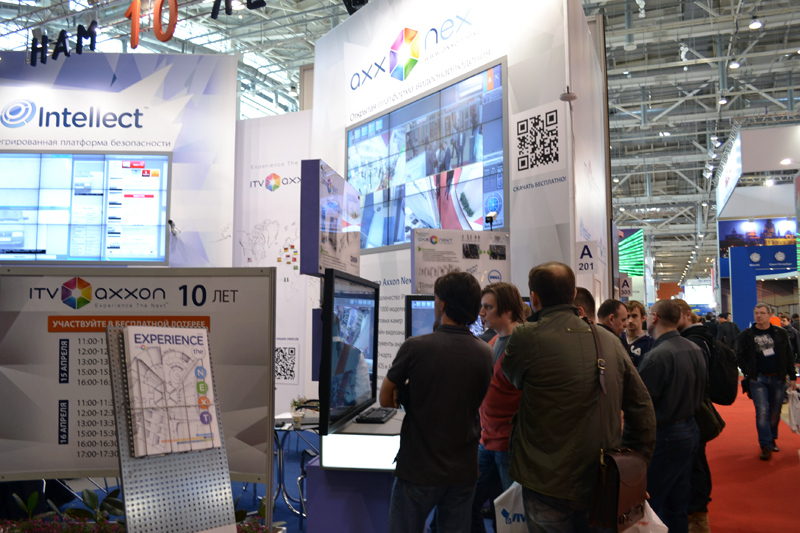 The center of attention at AxxonSoft's stand at all of these April events was the chance to see Axxon Next 3.1, the latest version of the company's innovative video management system. A number of all-new features in Axxon Next 3.1 drew massive interest from visitors, integrators, competitors, and the press alike. Industry professionals were especially impressed by new Immersion Mode for interactive 3D maps video is played back in a translucent overlay combined with a facility map, while the movements of objects in the video feed are shown on the map in real time. Video surveillance has become truly interactive! AxxonSoft also held a giveaway in honor of its 10th birthday, joining with its partners to offer valuable gifts to the winners. One of the gifts was a turnkey video surveillance solution based on innovative AxxonSoft software and IP video equipment from a partner company. 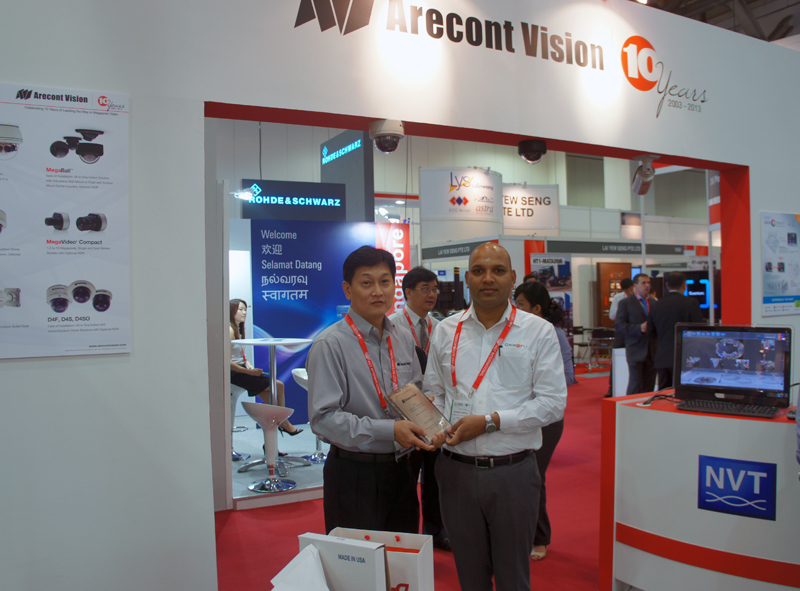 Among the long-time partners to join AxxonSoft in the celebration were: Pelco, Arecont Vision, Bosch, Sony, Dahua Technologies, Lilin, Vision ACTi, Axis Communications, Brickcom, Canon, EverFocus, Grandstream, iZett, QNAP, RVi, Samsung, Stream Labs, Vivotek, Vision, Hitech, 3S, Vision, Promise, Sunell, and more. At all of the expos, AxxonSoft partners enthusiastically demonstrated solutions with use of AxxonSoft products at their stands. 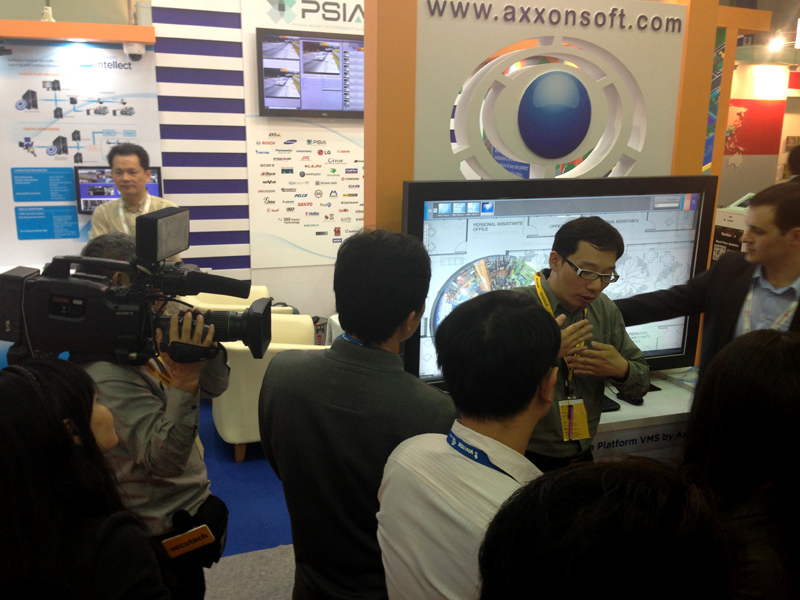 At MIPS-2013, AxxonSoft products were on display at 15 partner stands! 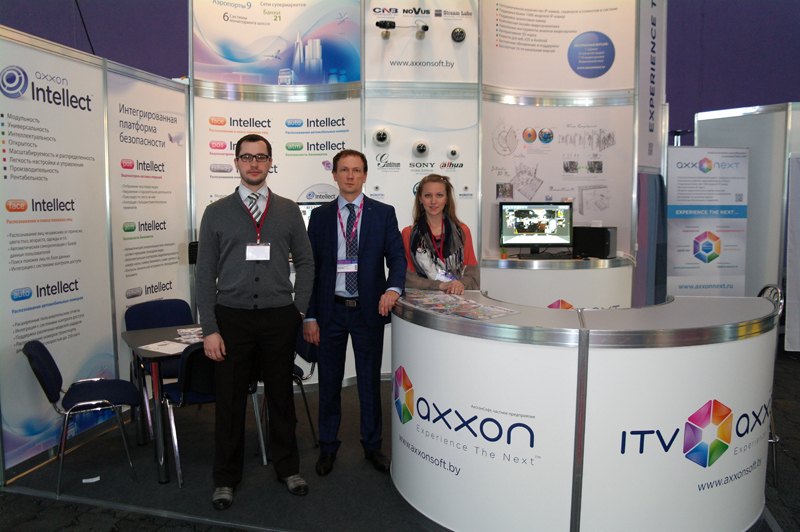 And at Security Forum 2013, held 17 and 18 April in Barcelona, AxxonSoft products were presented by Hommax, a new AxxonSoft partner and one of the largest distributors of security systems in Spain and Portugal. 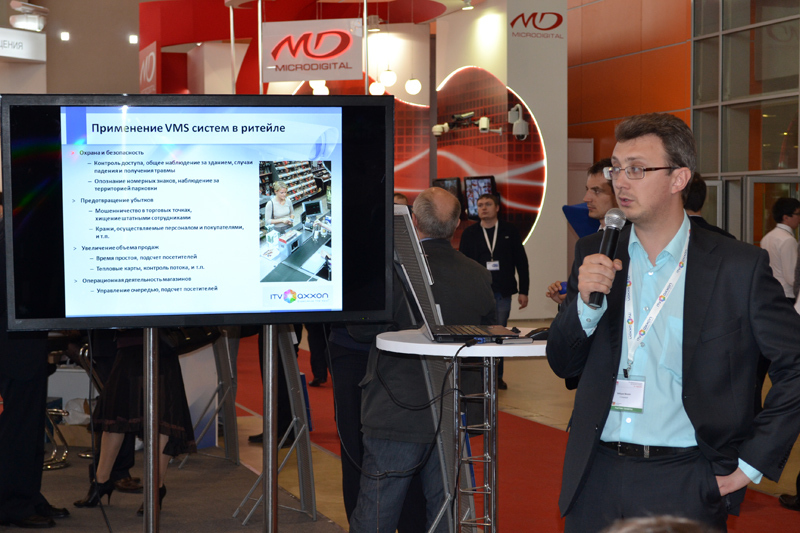 AxxonSoft presentation areas, found at MIPS-2013, merit special mention as well. Talks and presentations prepared by AxxonSoft specialists in cooperation with partner companies educated customers on effective joint solutions. The Axis & ITV Retail Solution, described by specialists from AxxonSoft and Axis Communications, was exciting thanks to its special design for retail, a quickly growing yet risky sector from a security point of view. 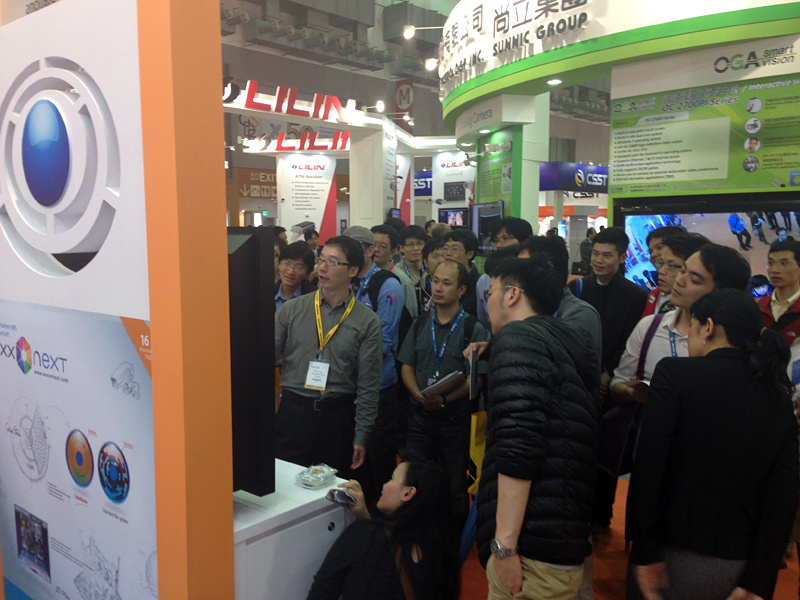 And as in years past, event visitors also attended presentations on the company's flagship product, the open Intellect Enterprise PSIM platform, and the latest versions of the company's POS Intellect, ATM Intellect, and other popular industry-specific vertical solutions.